Infrared Thermography is a condition monitoring technique which measures the radiant heat pattern emitted by a body, and is able to determine regions or points of increased or reduced heat emission. This indicates the presence of a fault in the body. 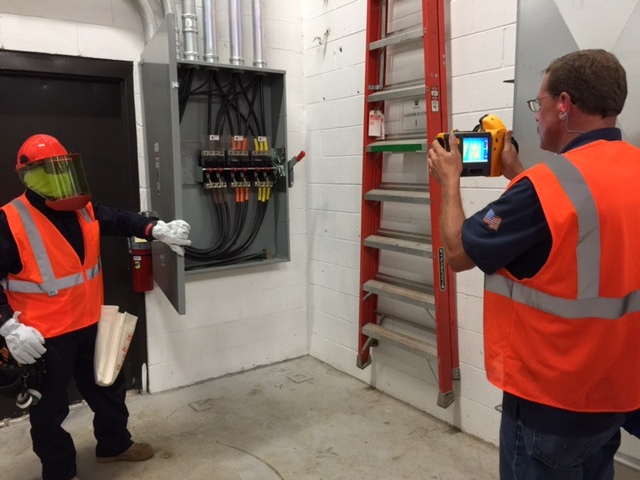 Thermal Imaging can easily identify potential problems without interfering with people or the operation of equipment, providing a transparent, non-evasive preventive maintenance strategy. During the survey, It is business as usual without downtime or lost of production. overloading, overheating, and lack of preventive maintenance programs for these systems. An efficient predictive maintenance program through infrared thermography can save your plant from danger and catastrophic failures.